The effective use of outdoor audio can put a stamp on the personality of the venue. A combination of high-quality sound, creative programming, and innovative system design and technology helps to create an atmosphere that will stick with visitors long after they depart. Dry Gulch USA is one venue that has put a great deal of thought into employing an intelligent audio strategy, helping to create a unique and memorable atmosphere. The year-round non-profit campground and retreat center is located one hour northeast of Tulsa, Oklahoma on the shores of Lake Hudson, and owned by Church on the Move of Tulsa. Established in 1986 as a Christian summer camp for children, Dry Gulch USA is now a multi-purpose facility also offering corporate and marriage retreats as well as Christmas holiday events. 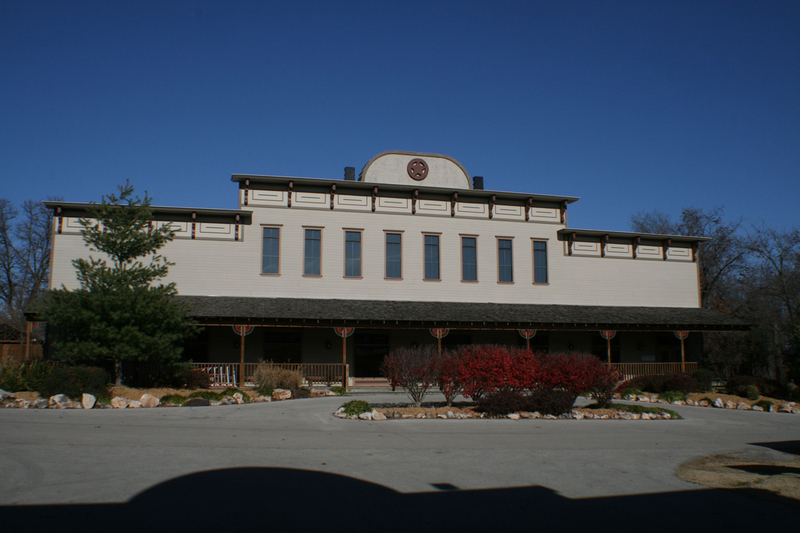 The grounds span several hundred acres and include a lake, a 700-seat performance hall, a mini-amusement park, overnight quarters and a Town Square area that is a replica of an old west town. Audio is essential to communication and entertainment across the grounds. The facility recently initiated a multi-stage project to overhaul its existing outdoor audio systems, which had fallen into severe disrepair over the years. Two Technomad Berlin loudspeakers broadcast voice and music to the downtown "Town Square" area, which is modeled after an old west town. Arruda worked with Ford Audio-Video, a regional design-build contractor, to demonstrate a range of Technomad products to improve the audio presence. The upgrades include a multi-zone networked audio system to deliver voice and music to four distinct areas of the campground, as well as a mix of new loudspeakers from Technomad and JBL that are used both within the multi-zone system and in standalone systems elsewhere on the campground. The Park System is one of three zones featuring Technomad loudspeakers, which were installed in multiple locations where outstanding audio quality and weatherproof characteristics were required. Here, two Berlins are seen installed on the rooftop of the park arcade. Among Arruda’s chief initiatives was to design a multi-zone system capable of distributing audio over separate channels. The five well-defined zones comprise the “Park System,” and it is intended to produce a unique thematic experience for each zone — noticeable to guests as they move from one zone to the next. The Park System, powered by Furman power conditioning and sequencing products, employs a DBX ZonePro 640 for audio processing and Crown amplifiers to power the audio output. The DBX ZonePro 640 is fundamental to creating the theme for each zone, entertaining guests with audio customized specifically to match the environment. Arruda assigns CDs, an iPod, and a Sonos wireless music system to deliver music, following a seven-day schedule. The iPod feeds into a Raxxess IRD-1 unit, essentially a docking station that protects the player and interfaces with the ZonePro 640 through a line output. The Sonos system is more complex, featuring 13 audio players and 10 wireless bridges to extend the reach of the system to certain zones, including the main entrance. The Sonos systems’ Zone Player also provides a single line input to one player, which can be distributed to all locations that contain another Zone Player. Arruda designed the system so that the ZonePro 640 reduces the main audio when a page or announcement is made over the system. While the audio program is different within each zone, live announcements are distributed to all five zones for the purpose of reaching the majority of visitors and staff. 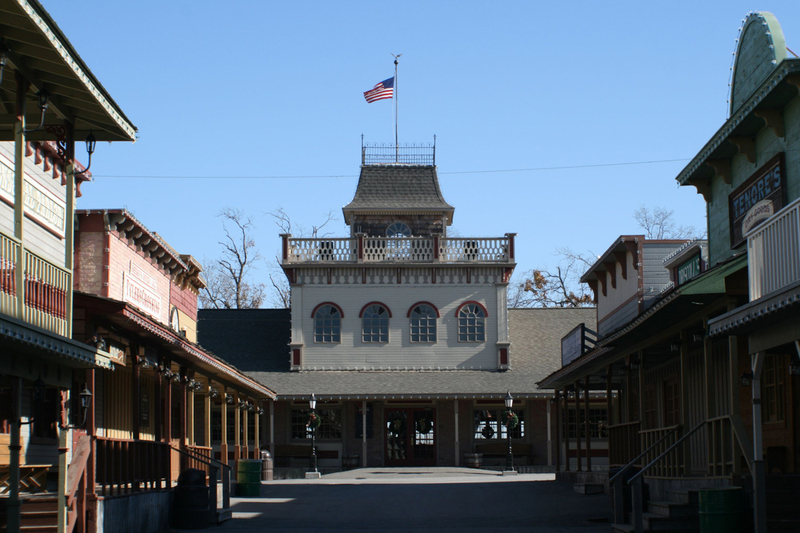 Several buildings and attractions signify the area around the Park System. This includes The Western Bunkhouse, which serves as the “Main Zone” in the audio distribution system. The “brains” of the Park System is also housed in this zone. Two Technomad Berlin weatherproof loudspeakers reproduce high-quality audio within the Main Zone. The Berlin model is among the largest and most powerful loudspeakers built by Technomad, and were installed here to cover a very large area both within the park area and its outskirts. Music emanates from the Berlins in between announcements to entertain visitors. The Berlins are installed on the building rooftop for the best possible directivity and projection. Arruda added that the Technomad design enabled him to mount the loudspeakers in unusual positions without modifications. He installed Berlins on top of two other downtown buildings — Town Hall and the Dining Hall — as standalone systems, using the same unusual mounting techniques. The Dining Hall features two Technomad Berlin loudspeakers projection audio long distance into the downtown area, setting the atmosphere on Main Street. The second zone is comprised of multiple Technomad Vernal loudspeakers under several building eves in the park area, including bunkhouses for summer camp and retreat guests. The Vernals are the smallest model in the Technomad fleet, but retain the same traits of the Berlin: high audio quality, broad dispersion, weatherproof design and durable construction. The music in this zone changes to match specific themes, such as during the Christmas Train event. The Silver Dollar Saloon, located in the Town Square of Dry Gulch USA, hosts a live bluegrass band during these events. The music is extended outdoors to the Vernals so visitors can hear the live performance. The usual soundtrack for the entire campground, distributed through the Sonos system, kicks in again once the performance has ended. The Vernals also provide background music at a third zone by the main entrance, where visitors hear music as they wait in line and enter the park. During events such as the Christmas Train and the annual 4th of July picnic, patrons will hear music themes from the old west before segueing into seasonal or patriotic music. In this case, an iPod distributes separate content while the Sonos system extends the system’s reach up to 1000 feet, linking the entrance music with the rest of the grounds. Arruda expects to install as many as 40 Vernals throughout Dry Gulch once completed, citing the broad audio coverage as essential to reaching visitors throughout the area. He deployed the Vernals in a 70-volt configuration to effectively reproduce audio across the entire zone, instead of the traditional 8-Ohm configuration. The 70-volt configuration daisy-chains multiple loudspeakers over longer distances than what is possible within 8-Ohm configurations. This will allow Arruda to more easily expand his distributed audio network over time. 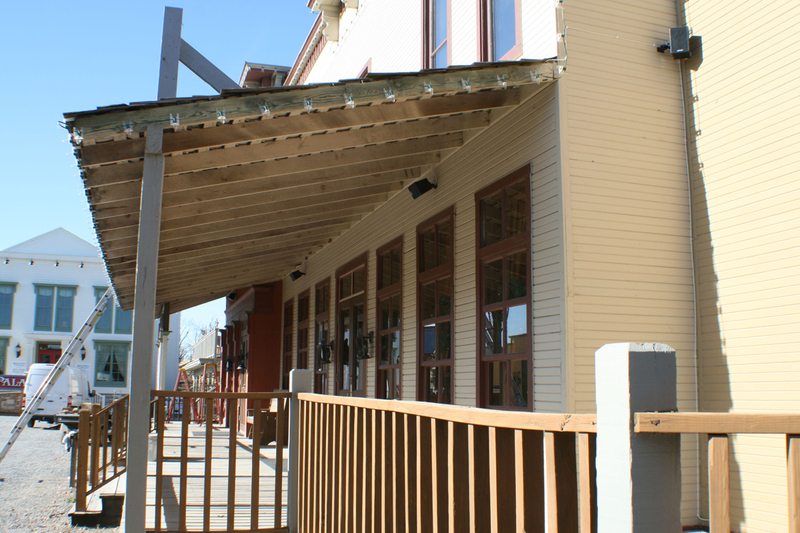 Technomad Vernals are installed at multiple locations around Dry Gulch, including the main entrance and under building eves in the downtown area. Many are arranged in a 70-volt configuration to enable long-distance signal distribution. The two final zones in the Park System are targeted for completion by the spring of 2009. The fourth zone will feature nine landscaped loudspeakers from Outdoor Speaker Depot in a series of planters outside of Town Square. Each planter includes three OS650 HD True Omni Ground loudspeakers installed in 70-volt configurations. The fifth zone will distribute theme park-style music to up to 12 JBL Control 25T loudspeakers. Many of the loudspeakers are being installed under the bumper car pavilion, and others will be hung near inflatable games and other theme park-style attractions. Several standalone audio systems complete the campground-wide audio presence. The Town Hall is a 700-person capacity auditorium with two Berlin outdoor loudspeakers tied to the indoor PA system. The music inside is synchronized to the Berlins to signal the beginning of daily chapel services or other gatherings and events. The signal is produced using a 32-Channel Midas Venice console, processed through a DBX DriveRack 260 and driven by a Crown Com Tech 800 to the two Berlins. Two Berlin loudspeakers are also installed on the roof of the Dining Hall. The long-distance audio projection allows staff to project audio down the Main Street area. 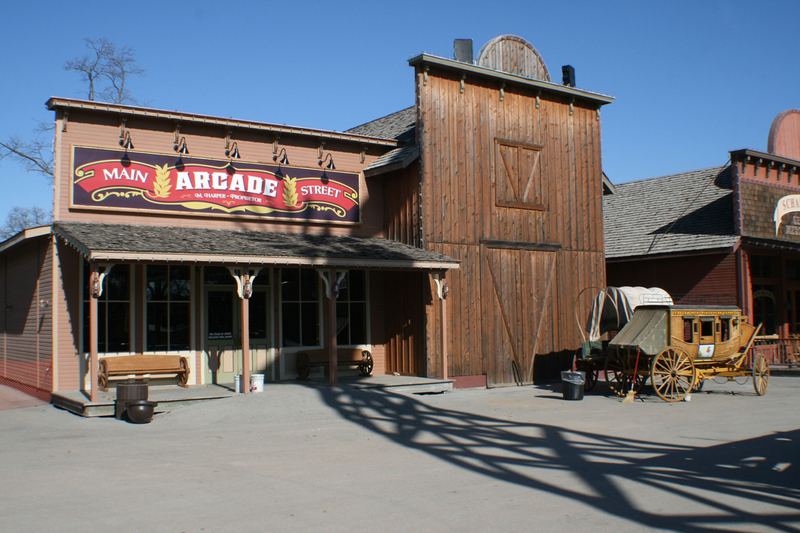 Dry Gulch USA also just completed construction of the Palace Hotel in Town Square. The hotel is an ideal companion for the Christmas Train event; children have their pictures taken with Santa Claus on the main floor, and the hotel offers rooms for overnight guests. Arruda and his team from Church on the Move installed four Vernal loudspeakers at the Palace Hotel for audio entertainment and announcements. Although the Dining Hall and the Palace Hotel systems remain standalone for the time being, Arruda envisions eventually tying both sites into the multi-zone system. He has already tied the Sonos equipment to the Palace Hotel system, although the system is processed by a dedicated Zone Pro 640 and driven by a Crown CT 1200 amplifier. Considerations for tying in the Dining Hall system will be made once Vernals are added to the building. A similar version of this story appeared in the January 2009 issue of Technologies for Worship.